The MAKS 2009 air show closes this weekend after an unusually quiet event, dominated by domestic military orders. The government promised more cash for the industry, but there are strings with it. The Russian air force struck the biggest deal at the show, with a record $2.5 billion order for new Sukhoi fighter jets. 64 aircraft will be delivered by 2015 under the largest ever order for new combat aircraft for the Russian air force. The government also promised hundreds of millions of dollars in cash aid for combat aircraft makers Sukhoi and MiG, according to Director General, Mikhail Pogosyan. “Nearly $500 million will be supplied to MiG to finance its suppliers, to guarantee its orders worth $4 billion." But that funding came with a stern warning from the government for the new United Aircraft Corporation. 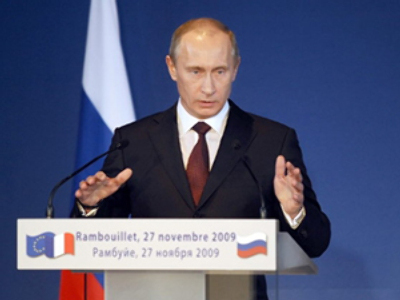 Prime Minister Putin warned the industry it had to improve its performance, and stop signing loss making contracts. The United Aircraft Corporation blames a backlog of debts from its legacy companies, but Deputy Industry Minister, Yuri Borisov, says there are other issues as well. 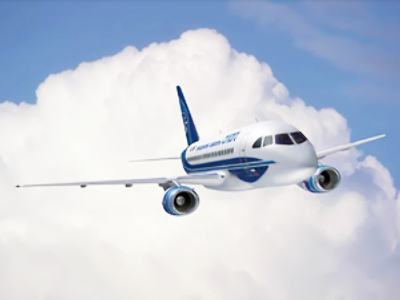 On the civil aircraft scene, emerging airline, Rosavia, invited Airbus, Boeing and Irkut to tender for up to 65 narrow-body airliners for its future fleet. That deal could be worth up to $2.5 billion. And Russian Helicopters signed a memorandum with France's Turbomeca on supply of engines for its Mi-34 Sapsan light helicopter.